I remember reviewing Himecoto's Shirowaki hime a couple years ago when it first became available in SASA Malaysia, you guys can check out my old entry HERE. But little did i know that they actually released other products of similar function as well just made for different body parts, but main function is basically "instant beautifying solution", or "real life photoshop in action". Not sure why girls of this era still associate "being fair" as beautiful because to me it's more of the person's personality than her skin color lol. Oh well, if it's around for this long i guess there is still a market demand for such beauty hacks (?). Since i've received 3 of these products to review thanks to Tokyoniki, might as well pen down my honest thoughts on them and i'll let you girls (and guys) decide whether it's something worth getting or not. I have no issues with darker skin pigmentation around my other body parts because it's mostly covered by clothes but for those looking for an instant solution you may consider Himecoto products. But take note that these are just temporary solutions, after bathing it will go back to the way it is. If you have been to Japan and walk into any random drug store you would have seen this brand selling & heavily promoted, it costs about 1,350yen onwards. 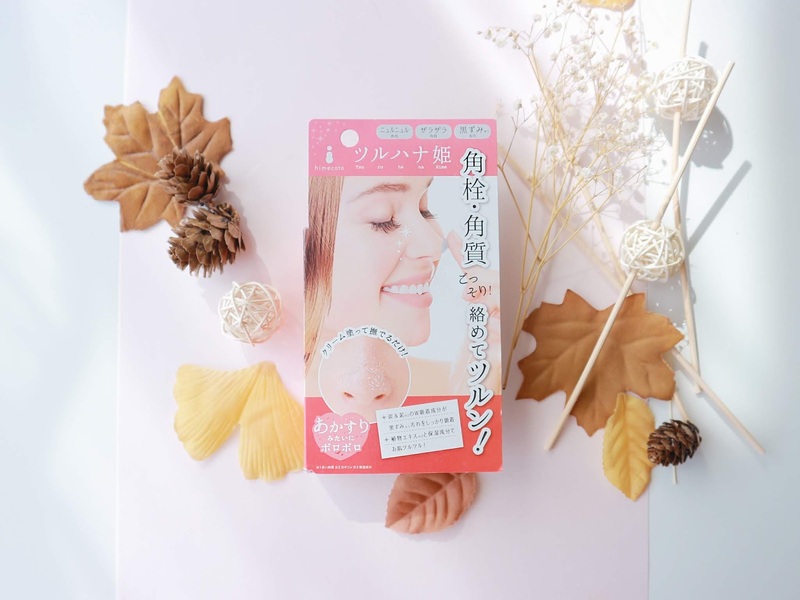 These products can be found in almost every drug store throughout Japan, these are just 3 out of the many other instant whitening products they have catered for specific body parts. You can check out their Japanese website for a full product listing, but i doubt you can find all of it in Malaysia. 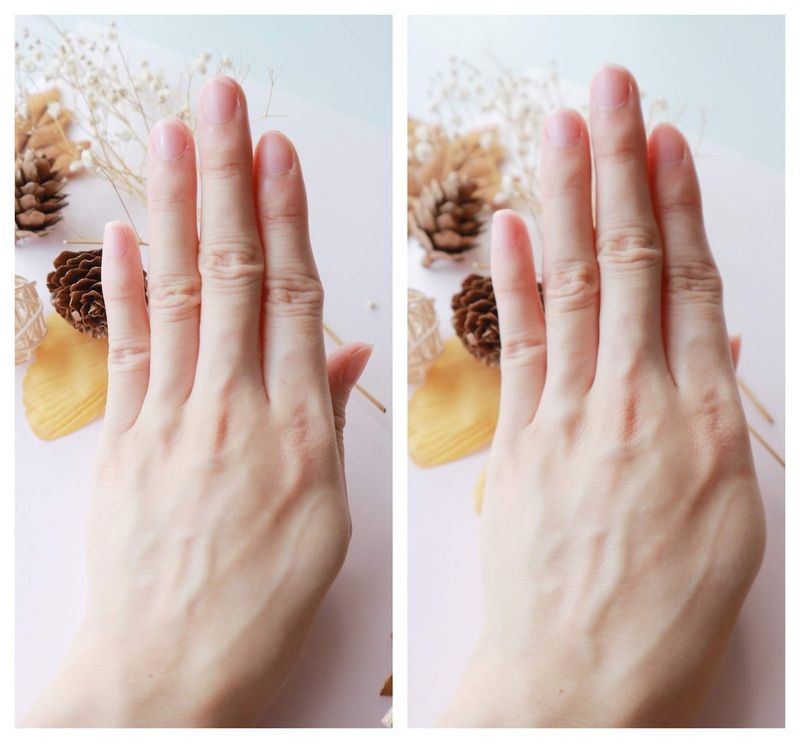 I've been trying to figure out why would anyone need whitening & smoothing cream for their fingers though and the only logical conclusion i could come up with is they need their wrinkly fingers to look airbrushed during their wedding that, that's all lol. Can anyone else enlighten me on this? 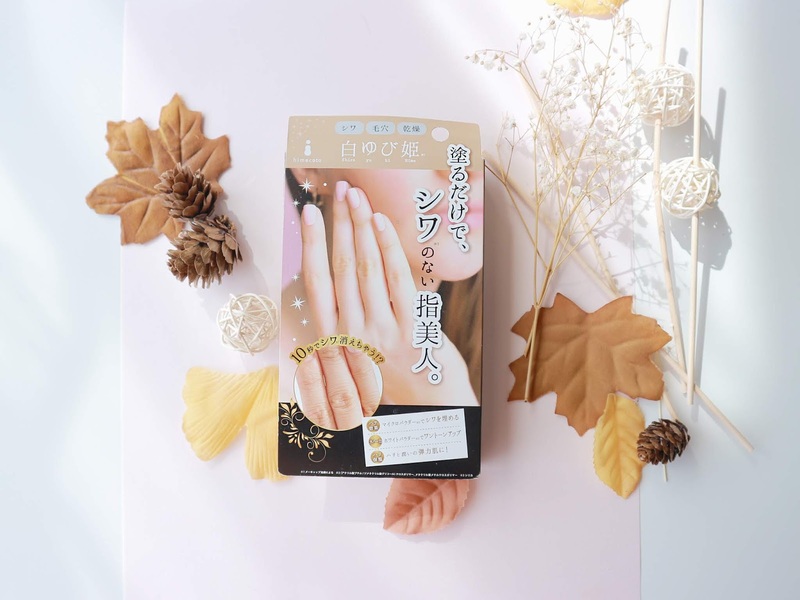 For this particular product, it promises on the packaging to deliver "wrinkle free" fingers within 10 seconds as it has micro powder to conceal those unwanted fine lines while keeping your hands moisturized as well. Probably my wrinkles are too imba that nothing can save it because it didn't really make an obvious difference as you can see on the comparison photo below lol. The only thing obvious was my hands felt more softer and fairer that's all, wrinkle free? I don't think so. I would probably just use this product as a normal moisturizing hand cream instead since it smells good as well (mild Yuzu scent), not something i would repurchase near future. It might work better on people with lesser hand wrinkles though! This product is no doubt the most effective in terms of "obvious results" out of all these 3 products reviewed today, but i wouldn't exaggerate on it's "instant whiteness" like how some people do it. My underarms has recently became abit darker due to shaving (can't do my IPL anymore due to pregnancy & breastfeeding), but since i rarely wear sleeveless clothing this problem didn't bother me that much but some of my clothes with sleeves still does expose my pits so that's when i'll use Shiro waki hime cream after shaving. A friend of mine did advise me to proceed with caution as Himecoto products sort of made her eczema issue flare up after using and with my hormones haywired i too was worried that it might end up with a terrible reaction. Luckily it was just a mild itching discomfort for a few minutes, nothing too severe. Prior to my pregnancy i had not problems using Shiro waki hime for my underarms, so this is the first time i experience minimal itchiness and my hormones are definitely to blame for that reaction. Shiro waki hime might be useful for people who shave their underarms frequently and by doing so that part of the skin tends to darken as well. Shiro waki hime contains clay like components that absorbs dirt and uses fruit acid to gently peel off dead skin (through rubbing). 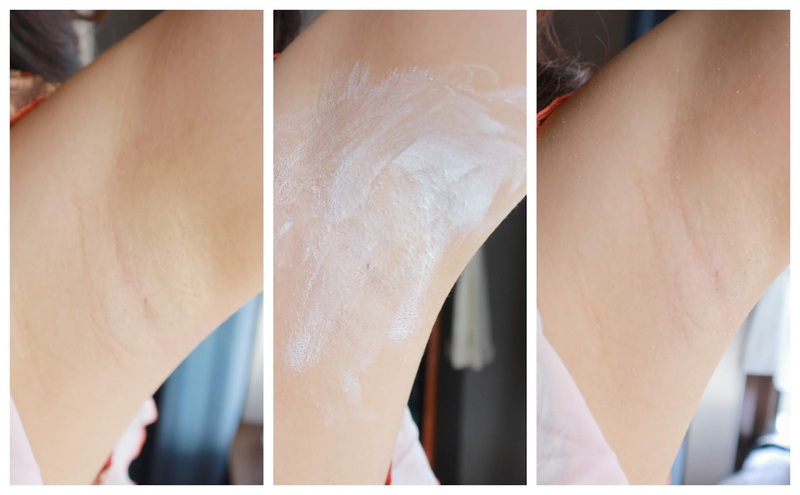 It does leave a minimal white cast after it's removed, this is how the "instant whitening effect" is created lol. After showering, it would go back to normal but probably at most one shade lighter than before because the dirt and dead skin has been removed. Total procedure takes only 30 seconds! Apply on and leave for 10 seconds. gently massage for 20 seconds and the cream will drop off. Not sure how to review this product at first, not to boast but i honestly barely have any obvious blackheads to begin with all thanks to my effective skincare routine lol. So i was worried that it's no going to make much difference posting a before and after photo but for the heck of it's take it more as a "How to Use" photo collage instead. Most black/ white head removal mask strips and creams i've known often leaves a stinging and tight sensation on the nose pores and people with sensitive (thin) might find this really uncomfortable, for some even unbearable at times but they have to do it or else these clogged pores are just going to get bigger and bigger till it leaves a crater on the skin surface. That's why it's important to exfoliate your skin at least once a week to get all those dirt out. 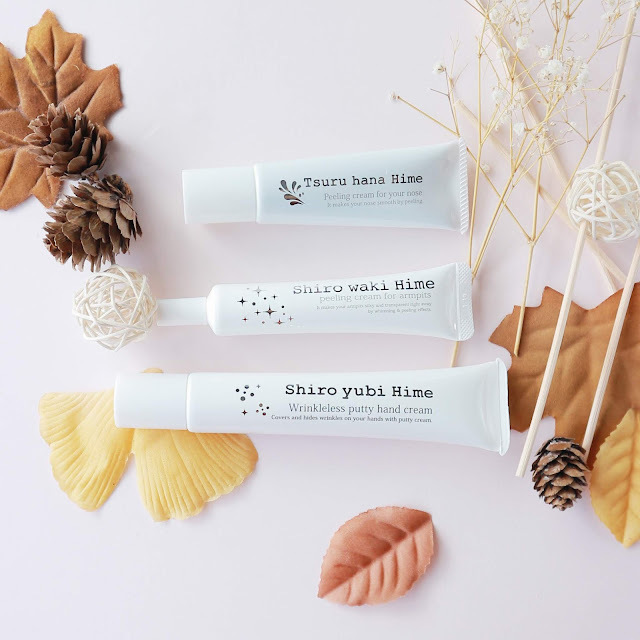 Not all facial exfoliators are made gentle hence not recommended to use more than twice a week however Tsuru Hana Hime's exfoliator is definitely a much more gentle option to remove those blackheads. On the packaging it states for better results use it twice weekly. Tsuru hana hime contains charcoal mud for effective dirt absorption, and for moisturizing properties Aloe vera, artichoke extracts, hot spring water and hyaluronic acid. So your nose doesn't feel so tight and dry after the extraction process. No uncomfortable heating and the whole process takes less than 5 minutes to complete. 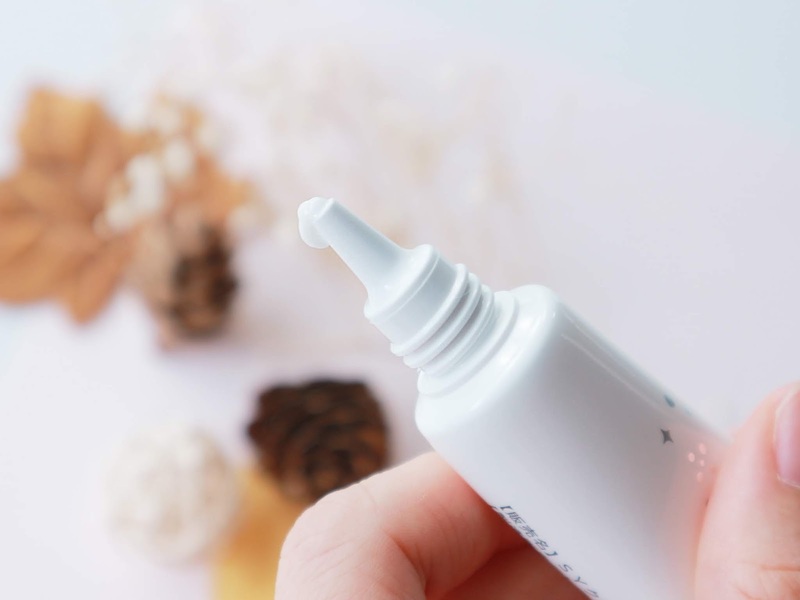 Apply on a pea size amount and spread around your nose, let it dry before rubbing off the coating. You'll notice your pores looking slightly clean and smaller. For me the naked eye results might not be obvious but it definitely feels smoother.